Cage the Elephant are a rock band from Kentucky. They formed in 2006 and have released 3 albums, “Cage the Elephant” in 2008, “Thank You, Happy Birthday” in 2011 and their best album (in my opinion) “Melophobia” in 2013. There were two hit singles off of this latest album – “Come a Little Closer” and “Cigarette Dreams”. 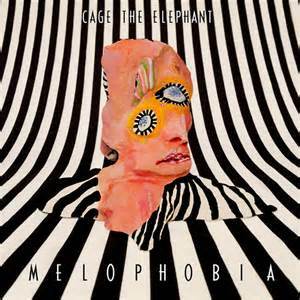 But m favorite Cage the Elephant song of all time is a song on the album, Melophobia but never made it as a single and that song is called “Telescope” – take a listen and see what you think. If you like the Alternative genre this is the song for you!